Went to the mall earlier after work to buy a case for my phone, failed to find a phone case I like, and instead went home with 3 cupcakes from Vanilla Cupcake Bakery in Glorietta. Hahaha. Since I was in a rush, I wasn't able to eat there. The place was just so cute, and I think this was the first time I went to an actual cupcake store. I was just so excited. Well, I'm really super excited to come back there and try the other flavors! The ones I bought were their best sellers, according to them, it's the Vanilla, the Luscious Salted Caramel and of course, the Red Velvet. Haven't eaten all three yet, HAHA, but I can tell it's delicious. Definitely going back and will have a complete blog entry about it. Hehe. 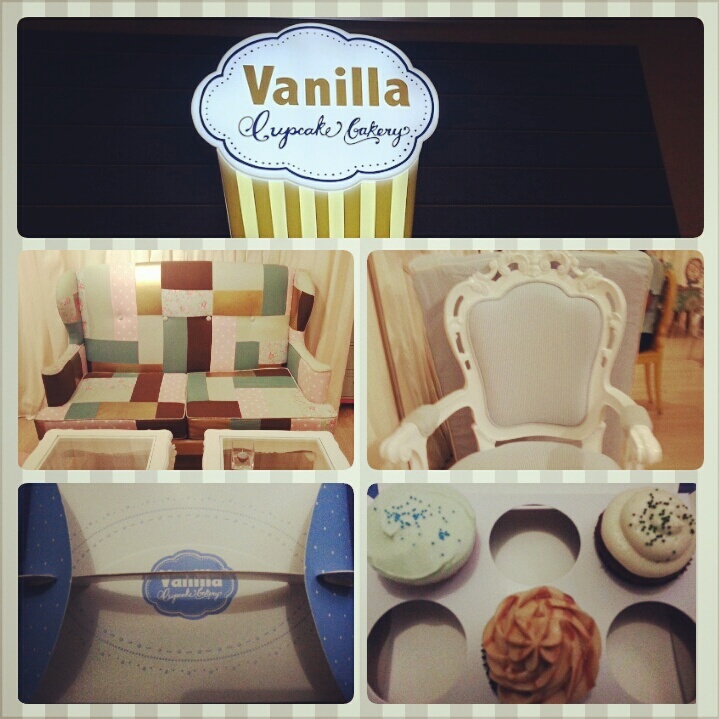 This uber cute cupcake store is located in Glorietta, I think it's where Kamiseta was before. They also have a branch in Trinoma.